Book of Sh’mot (Exodus) Family Bible Study, Stories and more! Continuing the series of Torah Stories, Sh’mot is FULL of exciting adventures for Hannah, Max and the gang to learn about the teachings of our God. 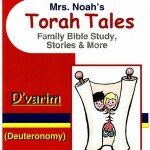 Remember these stories are for families who want to expand their children’s awareness (using their imaginations) of our Hebrew roots, Israel, Torah, the Moedim, Shabbat, and Yeshua’s purpose in our lives. 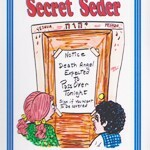 We often add crafts, puzzles, quizzes, or coloring pages, to the weekly Torah study. 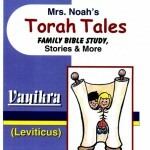 This is the SECOND of a series of Torah Tales. Remember, we commanded to teach our children DILIGENTLY! This book is 8 1/2 x 11, FULL of stories and things to do. It comes in B&W or full color and is coil bound..